Of all the drinks in the world, the Monkey Gland is one of our absolute favorites. It's a little tricky, though if you get it right, this classic cocktail is phenomenal! 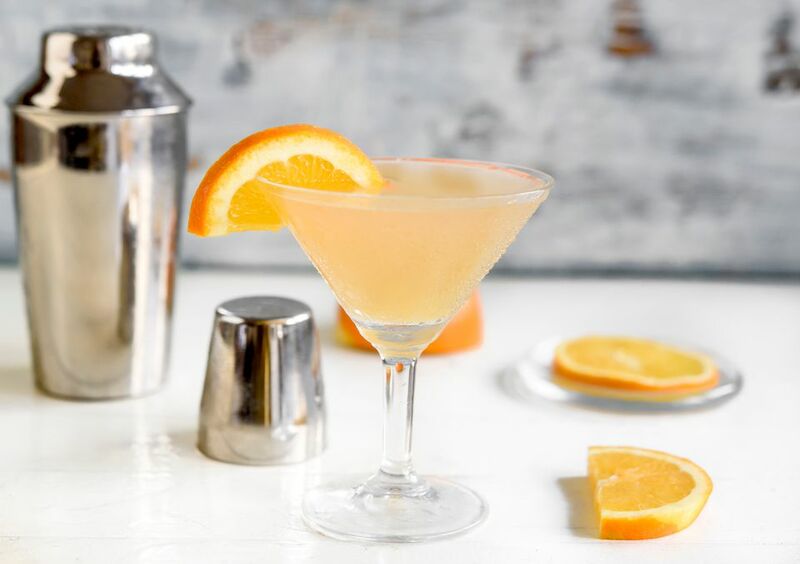 This drink has a sordid history that explains its unusual name (the story is below the recipe). Most recipes for the Monkey Gland suggest a splash of absinthe or one of its many substitutes, but we prefer the subtlety of rinsing the glass. This creates a nice, fruity cocktail with the slightest taste of anise as a contrast and the aroma itself is intoxicating and delightful. During the time that absinthe was illegal in the U.S., many bartenders learned to make this drink with Benedictine. While this is also a worthy libation, it has an entirely different profile. Swirl a dash of absinthe in a chilled cocktail glass to coat it, then dump out any excess liqueur. Pour the other ingredients into a cocktail shaker with ice cubes. Garnish with an orange slice or a burnt orange peel. The Monkey Gland is not the typical drink name and its origin is, well, interesting to say the least. In his 1922 Harry's ABC of Mixing Cocktails book, Harry McElhone (owner of Harry's New York Bar in Paris) took credit for the invention of the Monkey Gland. He also claims that the name was inspired by the 1920's experiments of one Serge Voronoff. This was well before the time of Viagra and it's many male enhancement counterparts and Voronoff was experimenting with various implants. The most famous of these was the grafting of monkey testicle tissue (or monkey glands) to human testicles. Voronoff was well-known for this rather shocking technique and over time he received a considerable amount of ridicule for it and died in near obscurity in the 1950's. Read more about Voronoff at: Science Vault: Monkey to Human Testicle Transplant. So, there's the story behind the drink. If nothing else it's great trivia while you're sharing a round of Monkey Glands with friends.